Will you choose the healthcare professional who will care for me? Is there a definite period of the services I’ll receive from you? Can you deliver services within the day that I requested for it? If I need your services on a holiday, during the night or weekend, can you send someone immediately? Yes we choose the healthcare professional who matches your needs. We will also consult you in choosing the care provider. Together, we will make the decision. The services that we deliver to you will depend on your special needs and conditions. We deliver personalized services, thus each client will pay a different amount. We will inform you of all the services that you will be receiving and the total cost of these. The period of service will depend on your condition and your choice to keep our services. 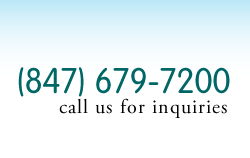 With us, you can stay assisted by our team on a short period or for as long as you want. We will strive to deliver services as soon as you called for it. Talk to your Physician about us so we can start out immediately. Absolutely. We have team on call for emergency instances. For the well-being of our clients, our dedicated team can be there for you anytime, anywhere.